I was lucky enough to make two trips to the Jersey Shore in one spring week. The first was to Edwin B. Forsythe NWR near Atlantic City, a 47,000 acre refuge spread along the marshes of the Jersey Shore. While driving the 8 mile Wildlife Drive loop, we got to see a lot of cool birds. Luckily for me, I was accompanied by several veteran birders, since I needed all the help I could get identifying a number of bird species. I had two life birds in the first ten minutes and ended the day with seven. 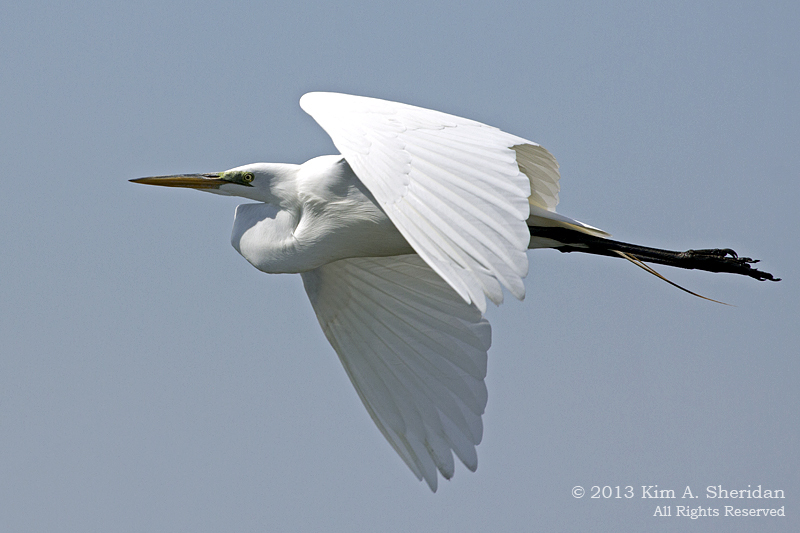 Above is a Great Egret, definitely not a life bird for me, but one I love watching. 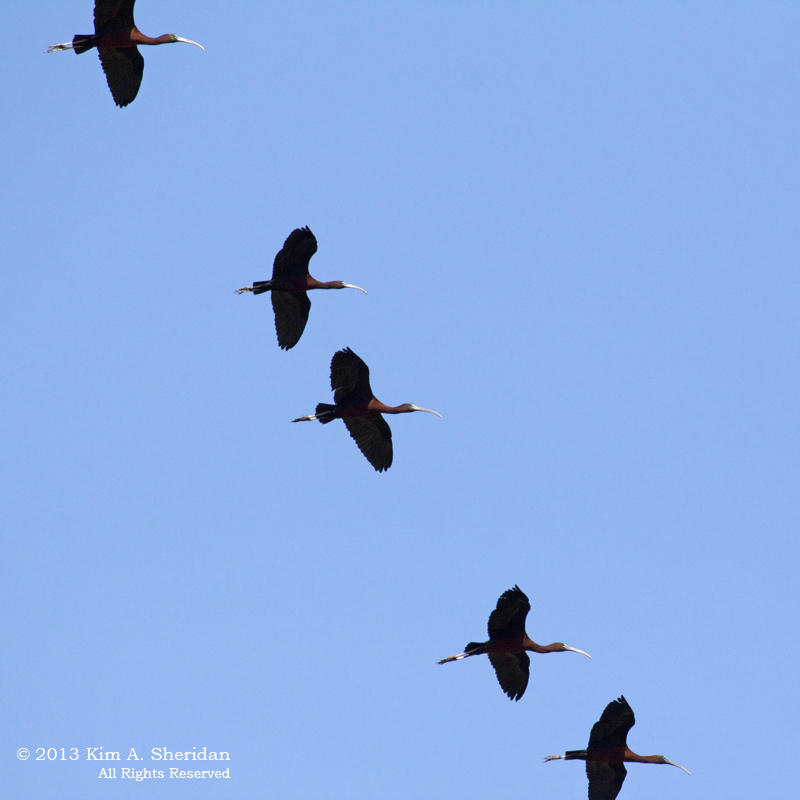 Here’s a flock of Glossy Ibis flying overhead. I barely got a look at them, but was assured we would see more. We didn’t. Promises, promises. 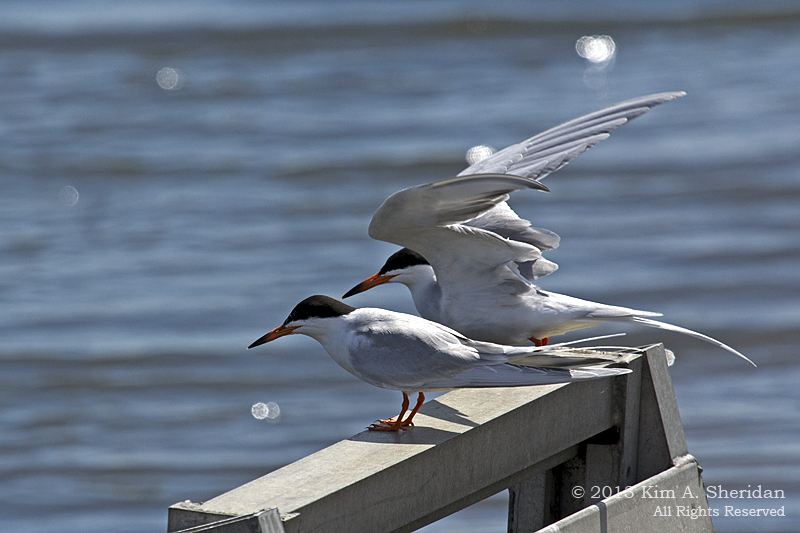 FUN FACT: Common Terns (above) drink saltwater (yuck!) by flying above the water’s surface and dipping their beaks into the water. Grab and go – no leisurely time on the veranda sipping iced tea for them! 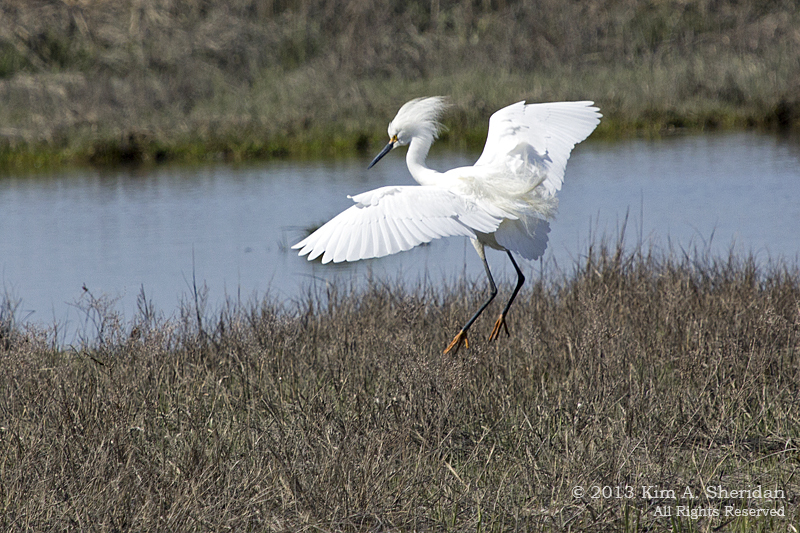 Snowy Egret landing. There’s a move in tai chi that looks like this! Later that week a friend and I went to four different places in the Cape May area. Again, lots of shorebirds. 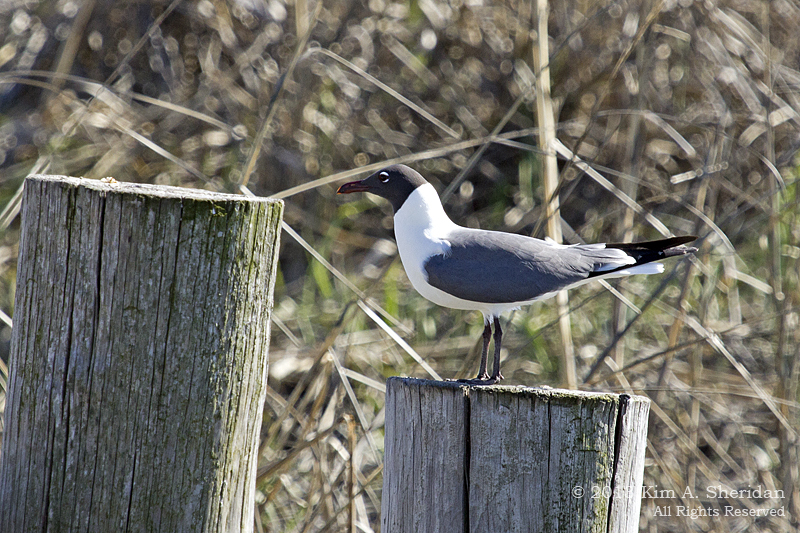 Like this Laughing Gull. 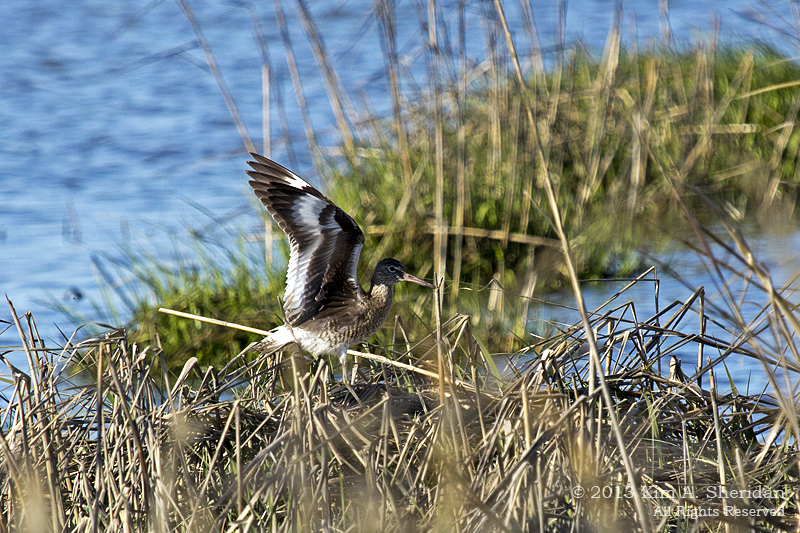 Willet, landing. Before I saw them fly, they looked like every other mid-sized sandpiper. Then I saw this beautiful white wing patch, and suddenly I’m a Willet expert. As long as they’re not on the ground! 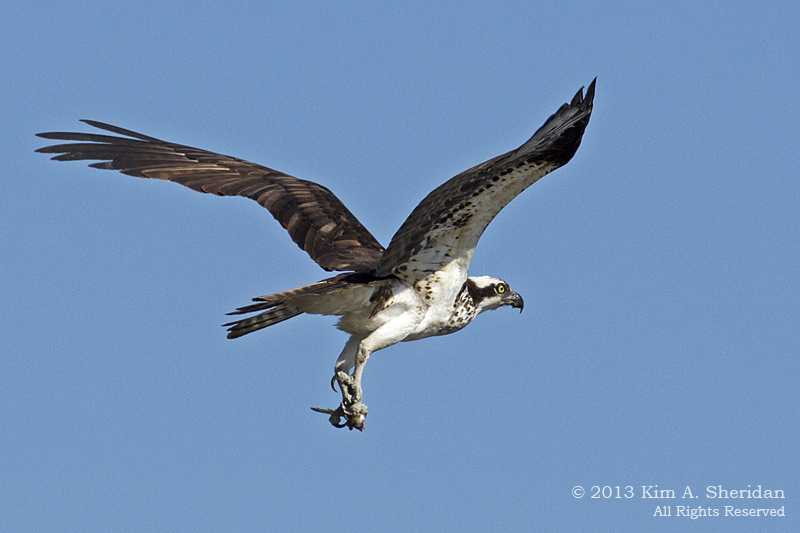 FUN FACT: Osprey (above) – and Osprey nests – are numerous at the Shore. Ospreys used to nest in dead trees. As these have become scarce, they are happy to build their stick nests on man-made structures, including telephone poles, channel markers and the platforms we humans have put up for them. They have a reversible toe on each foot that helps them better grasp fish. A migratory bird, they may fly more than 150,000 miles in their lives. That’s a lot of frequent flier miles! On a personal note, I recently became a published photographer for the first time when a spread of my Heinz NWR photos was featured in Phactum, a publication of the Philadelphia Association for Critical Thinking. If you’re interested, you can access it at the link below. This entry was posted in Birds, Jersey Shore, Nature and tagged Birds, Cape May Point State Park, Edwin B. Forsythe National Wildlife Refuge by Kim. Bookmark the permalink.